One critic characterized Price's voice as 'vibrant', 'soaring' and 'a Price beyond pearls', as well as 'genuinely buttery, carefully produced but firmly under control', with phrases that 'took on a seductive sinuousness. A lirico spinto (Italian for 'pushed lyric') soprano, she was considered especially well suited to the roles of Giuseppe Verdi and Giacomo Puccini, as well as several in operas by Wolfgang Amadeus Mozart. 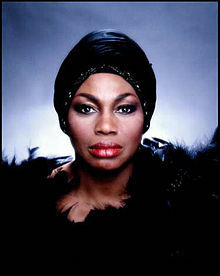 Among her many honors are the Presidential Medal of Freedom (1964), the Spingarn Medal (1965), the Kennedy Center Honors (1980), the National Medal of Arts (1985), numerous honorary degrees, and 19 Grammy Awards for operatic and song recitals and full operas, and a special Lifetime Achievement Award in 1989, more than any other classical singer.